Mother and daughter enjoying the rest & relaxation that is found only in a Treeboat Hammock. We are pleased when the media covers Canopy Climbers because it helps inform people about the wonders of recreational tree climbing. Below, you'll find the stories, photos and video as told by print, television and social media. Contact us if you wish to do a story on Canopy Climbers tree-climbing adventures. 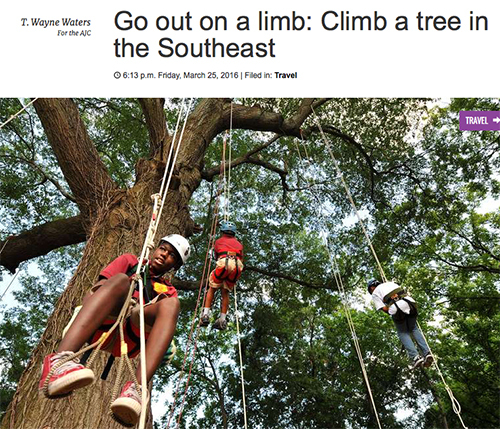 "Recreational tree climbing is booming in the South!" Click here to read this excellent article. 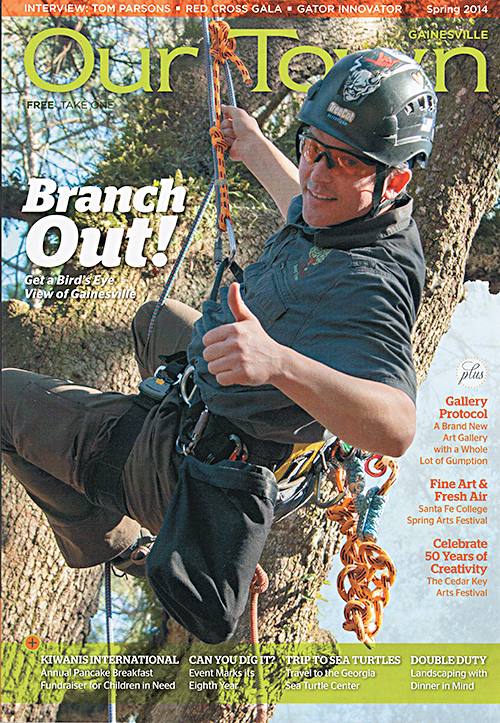 Canopy Climbers is proud to be a part of the tree-climbing boom! Canopy Climbers is honored to be awarded the TripAdvisor "2016 Certificate of Excellence." We send out a heartfelt thanks to all of our amazing clients who took the time to review us. We truly appreciate our local community, and beyond, that continues to support recreational tree climbing! What is Sustainable Tree Climbing? Danny Lyons (left), being awarded the Star Green Business Award by City of Gainesville Mayor Ed Braddy. 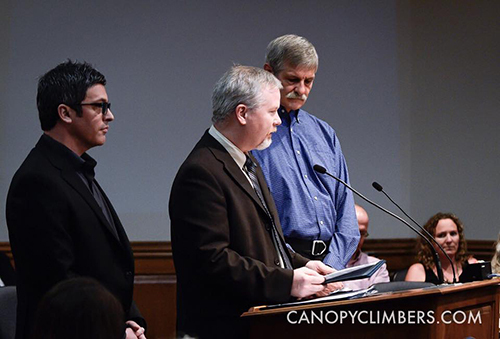 The City of Gainesville awarded Canopy Climbers the 2014 "Star Green Business" award. Canopy Climbers was recognized for utilizing “a sustainable practice that preserves, protects and/or enhances the natural environment within the City.” We give credit to our sustainable climbing practice of always using "cambium savers" and respecting the trees and parks in which we climb. Our safety protocol will ensure that many future generations of people will get the chance to climb the same trees we do today. 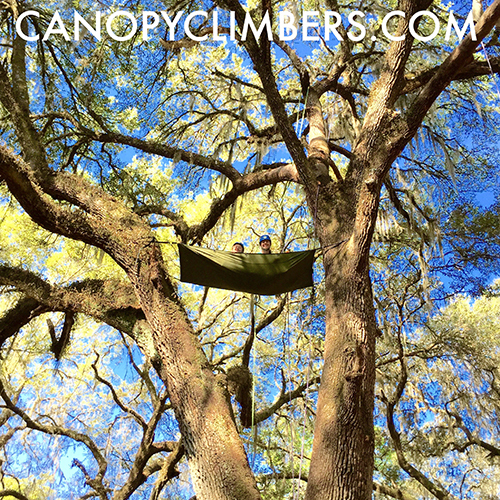 Post by Canopy Climbers, LLC. "Branch Out, Get a Bird's Eye View of Gainesville" cover story, was written by Ericka Winterrowd, for Our Town Magazine's Spring 2014 edition. Ericka interviewed me about 65 feet in the top of "Charlotte," the Live oak for this wonderfully written story. Yes, that's the one-and-only Paige Beck! Canopy Climbers is in the news! Thank you to TV20's amazing Kyla Ryan for shedding light on our tree-climbing adventures. 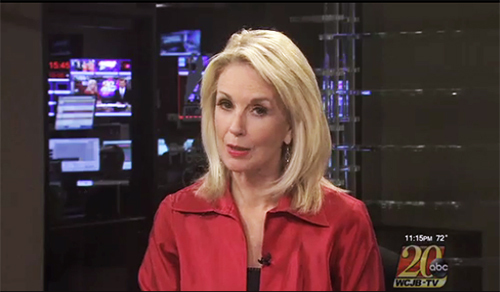 Click here to see the TV20 story. 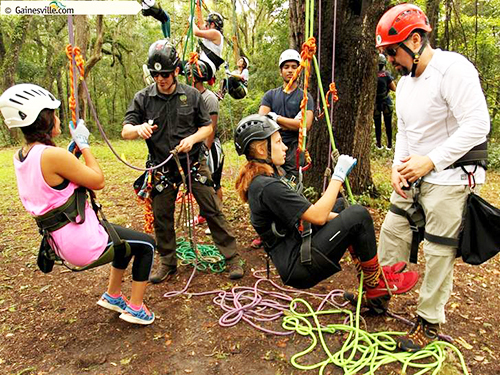 Canopy Climbers is in the news (July 6th, 2014)! 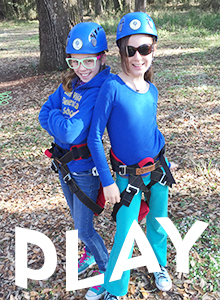 We appreciate our local newspaper, The Gainesville Sun for shedding sunlight on our tree-climbing adventures! Click here to read the story.